Explore Engineering & the Winter Olympics at Our New Exhibit! The 2018 Winter Olympics in PyeongChang, South Korea are here! The games started on February 9, 2018 and will run through February 25, 2018. There are 102 Gold Medal Events across 15 sports! The sports are classified as “winter sports” because they require snow or ice. Most of the sports use equipment that is made from fiberglass. The three substances snow, ice, and fiberglass make the Winter Olympics possible! We have a new Winter Olympics Exhibit Case in the Lichtenberger Engineering Library. Stop in and check it out! The first of the key ingredients for the Winter Olympics is the snow. Natural snow forms when moisture combines with low temperatures to form ice crystals. These crystals begin to stick together and become heavy enough to fall to the ground. However, for ski slopes all across the world and during the Olympics, nature sometimes does not produce enough snow. Japanese nuclear physicist Ukichiro Nakaya, produced the first artificial snowflakes on March 12, 1936 by growing ice crystals on rabbit hair.1 Modern engineering has developed the snow gun. There are two methods for how the snow gun operates. Option 1: high pressure water systems creating water droplets that freeze in the air, and a powerful fan. Option 2: water and air under high pressure forcing the ice crystals into the sky. This process produces snice (snow-ice) because it is harder in texture than natural snow and becomes icy easier.2 Since PyeongChang, is situated in the mountains, the locale is ideal for both natural or artificial snow! Ice is the other surface on which many of the sports occur during the Winter Olympics. Ice has a low coefficient of friction between ice and steel, creating the ability for ice skaters and the sliding sports (bobsleigh, luge, and skeleton) to generate high speeds.3 The temperature at which the ice is frozen creates different qualities for each sport. Colder temperatures create harder and faster ice, for sports such as hockey and the sliding sports, but is more brittle and likely to break on impact. Softer ice is produced at a higher temperature for figure skating, and has more grip and is less likely to shatter.4 For Curling, water is sprayed on the ice surface to create tiny bumps of ice over which the stones slide. This is called pebbling. Pebbling reduces the amount of surface friction between the stones and the ice, allowing the stones to glide more easily.5 The surface of an ice rink consists of 8 to 10 layers of ice! Ice and the science behind it leads to ideal surfaces on which the athletes compete. The final, and perhaps unexpected, element in the Winter Olympics is fiberglass. Skis, snowboards, bobsleds, luge sleds, composite hockey sticks, and curling brushes all are constructed using fiberglass. Fiberglass, also known as glass fiber reinforced plastic, is a glass fabric that is soaked in a resin and then set in a mold to create the desired shape. Fiberglass is both strong and lightweight making it ideal for sports. The fibers to make the fabric are created by melting glass marbles and pulling the melted glass into filaments that are 1/10,000 of an inch to 5/10,000 of an inch in diameter.6 These glass strands are 2-3 times as strong as alloy steel! These strands are then twisted into yarn and woven into a fabric. This glass fabric is strong but it does not hold its shape, so it must be soaked in resin and then cured before it will be ready for an athlete to use. Fiberglass plays an important role in the Winter Olympics due to its use in many sports. The event surfaces and equipment used make the Winter Olympics successful for athletes and enjoyable for spectators. Snow, ice, and fiberglass are the three key substances for the 2018 Winter Olympics in PyeongChang! 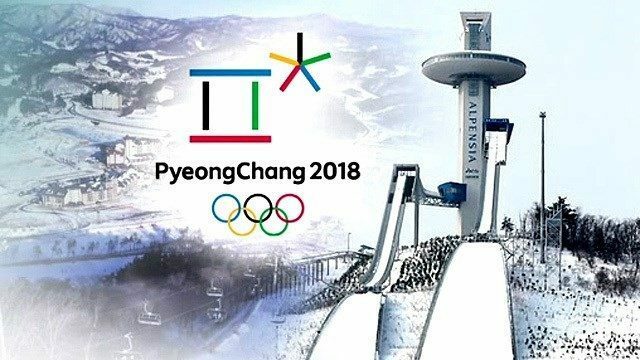 Check this video out if you want to see more engineering and technology in action at the 2018 Winter Olympics! 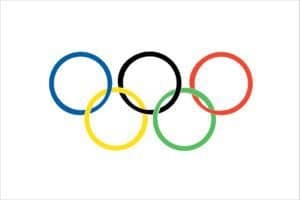 Sit back, watch the Olympics and be sure to cheer for your country as the athletes go for the gold! And ski, luge, skate or curl your way into the library to check out the new exhibit case! Denny, Gliding for Gold, 23. Oscilloscope Basics! New Learn & Create Class! Patents & Standards! New Learn & Create Xpress Class!